BURNABY, B.C. -- Jagmeet Singh often starts conversations with Burnaby South residents by asking a question: "I want to take on the government in Ottawa. What do you need me to do?" Singh has lacked a voice in Parliament since he became NDP leader in the fall of 2017. The former Ontario legislator finally has a shot in a British Columbia byelection, but it's a risky bet with his political future at stake. The New Democrats narrowly won the riding by about 550 votes in 2015, and experts say while recent Liberal turmoil has helped Singh, there's still a month before the vote on Feb. 25. He had a rocky first year as leader, they add, and losing a byelection would likely end his tenure. Singh, 40, said he's not thinking about what would happen if he loses. "I'm not worried about my own political future. I'm worried about the future of this country," he said in an interview. "I'm confident that if we continue to hit doors and work hard like we are, and we're working so hard, that we will win here. We'll do very well." The leader has faced criticism for weak fundraising, low support in the polls and his handling of harassment allegations against a caucus member. Singh said the past "number of years" have been difficult for the NDP, but he's seen an upswing. "We've seen some positive movement in our donations. But more importantly, I'm focused in on the fact that people are feeling let down, and their sense of resentment at the options they have," he said, referring to the Liberals and Conservatives. The Liberals have selected Richard T. Lee, a former B.C. legislator, to run in the riding after their first candidate, Karen Wang, resigned. Wang said a volunteer on her campaign wrote a controversial post in which she urged Chinese people to vote for her as she was the "only" Chinese candidate while Singh was "of Indian descent." Lee said he's not worried about Wang's actions hurting his chances, adding he's door-knocking daily and a steady stream of volunteers are showing up at his office. He also said he's not concerned about going up against a high-profile candidate in Singh. He noted that he's been living in Burnaby for 32 years and represented the area in the B.C. legislature for 16 years. Singh has been campaigning in the riding for several months. "I know the issues in Burnaby. ... 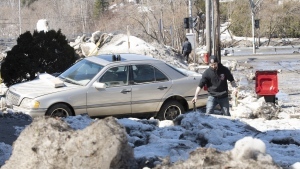 I know the needs of the residents," Lee said. "Those kinds of local connections (are needed) to be a true champion for this area." There is risk involved in the byelection, but Singh's chances are "very good," Cullen said. "His planning has been so clear that losing is not an option. One of his confidants described it as an 'all-in bet.' I think that's right. 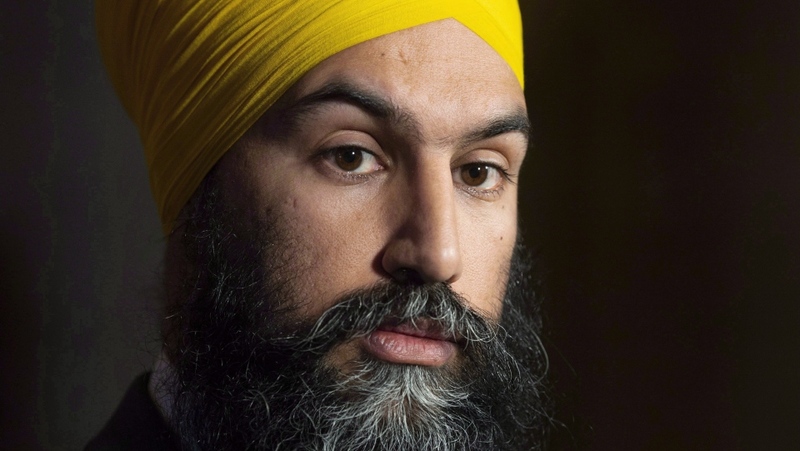 I think this is a big play and it's what got Jagmeet here in the first place," he said. The Ontario NDP had never won in Brampton before Singh nabbed a seat in the Toronto suburb, and he entered the federal leadership race as an outsider and won that "all-in bet" as well, said Cullen. "If you're not willing to risk things in politics, it's very hard to achieve the highest heights. Of course, him wanting to be prime minister means he's going to the highest heights." Prime Minister Justin Trudeau put "maximum pressure" on the New Democrats by delaying calling the byelection for several months after Kennedy Stewart stepped down to become Vancouver's mayor, said Gerald Baier, a political science professor at the University of British Columbia. "If Singh did lose the byelection and you're asking those kinds of questions about his leadership, they really don't have a lot of time to pick a new leader to go into a fall election," Baier said. The strategy suggests the Liberals still see their path to winning the next election as making sure they can draw support from the centre-left that might otherwise go to the New Democrats, Baier said, adding the NDP's "internal dissension" gives the Liberals ammunition. Lawyer Jay Shin is running for the Conservatives in the riding and he has been critical of Trudeau's immigration and refugee policies. The People's Party of Canada candidate is Laura-Lynn Tyler Thompson, known for opposing education about sexual orientation and gender identity in elementary schools.